Explore our various data visualizations. Browse our visualizations by type below. 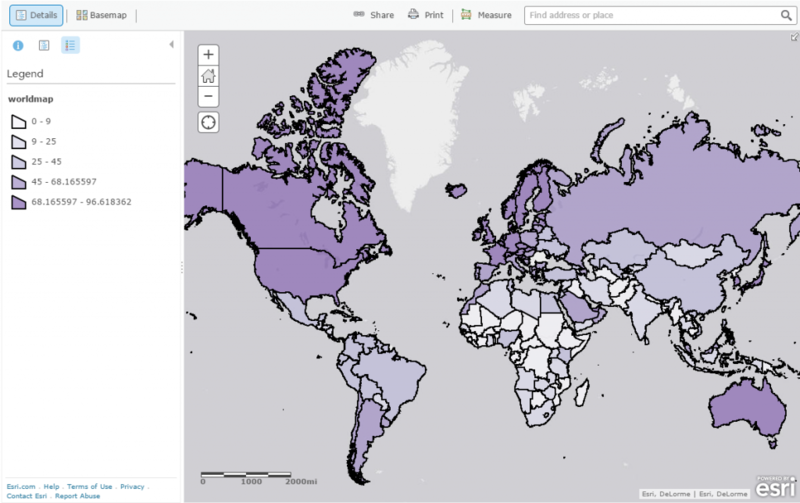 Looking for visualizations relating to a specific topic? Browse our subject areas in the menu on the left. Or, start with our World Map, featuring many political, social, and economic indicators. 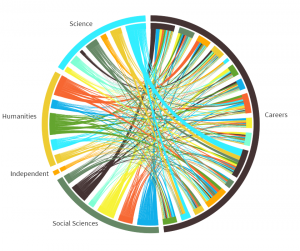 Our interactive chord diagrams show the relationships between inter-related data by linking them together with arcs across a circle. Take a look at our interactive line graphs here. Interactive bar graphs will be coming soon. 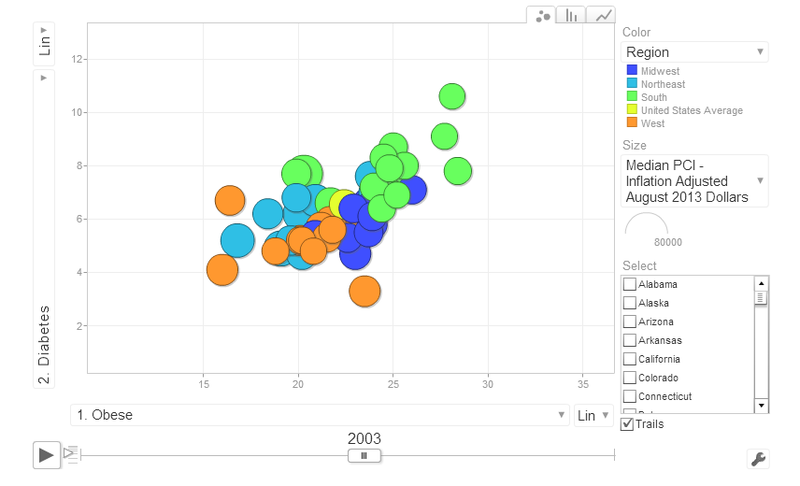 Explore data in three dimensions with our interactive bubble charts. Interactive maps can be found here. This page contains U.S. maps, world maps, and cartograms.